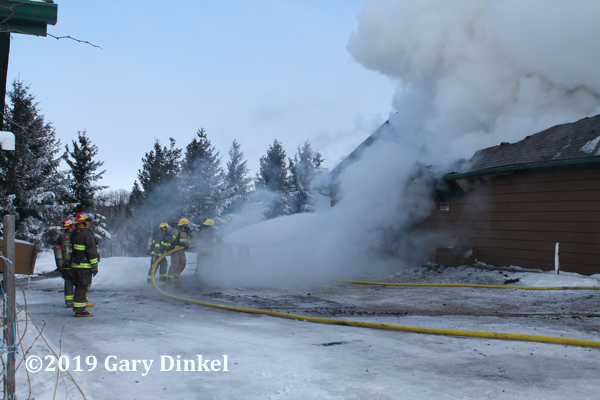 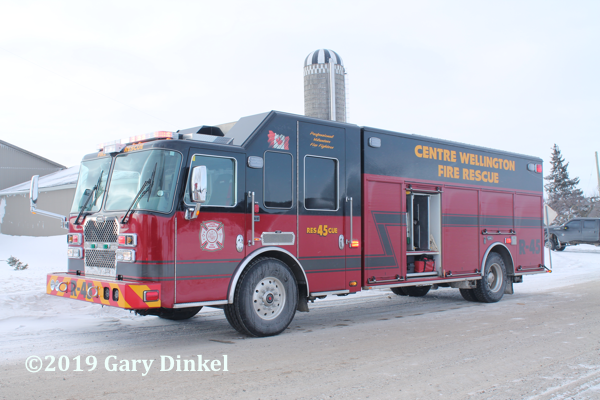 Kitchener (ON) Fire dispatch toned out Floradale for a possible fire at 7098 Side Road 5 in Wellington County February 26, 2019, at 8:26. 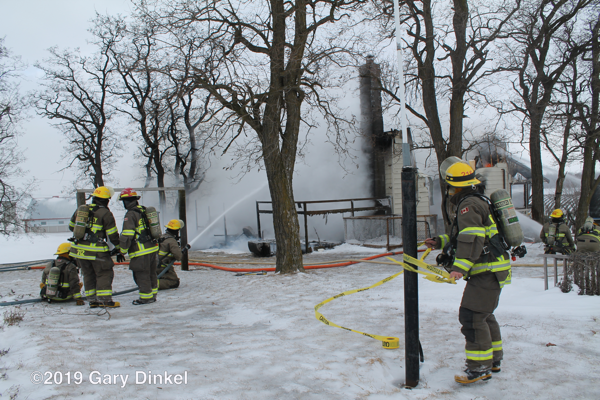 Floradale (Waterloo County) covers this area on contract for first response. 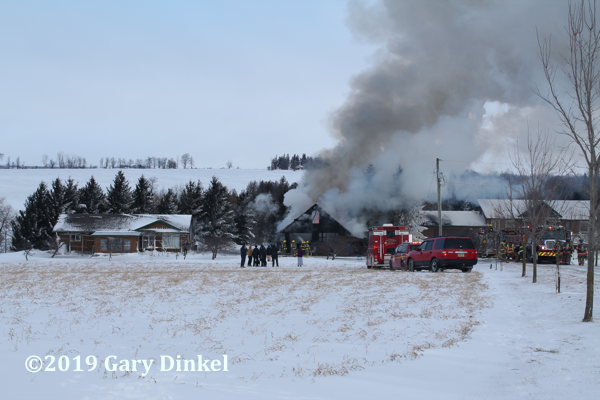 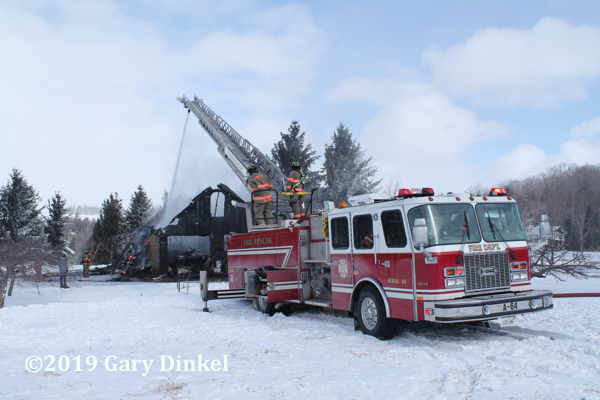 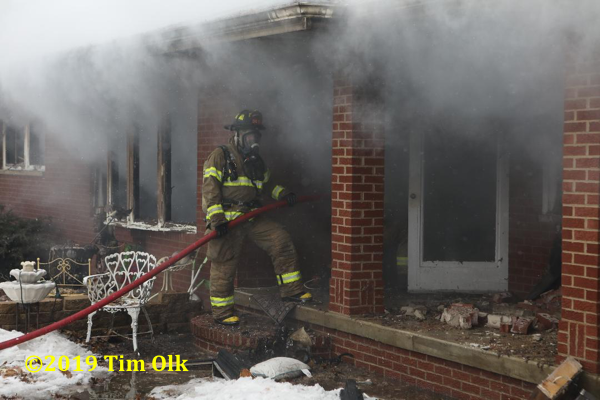 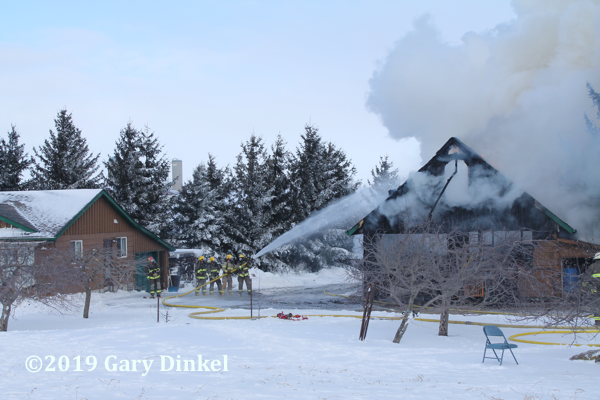 A Floradale captain who lives less than a mile from the fire was on scene before any trucks left the hall. 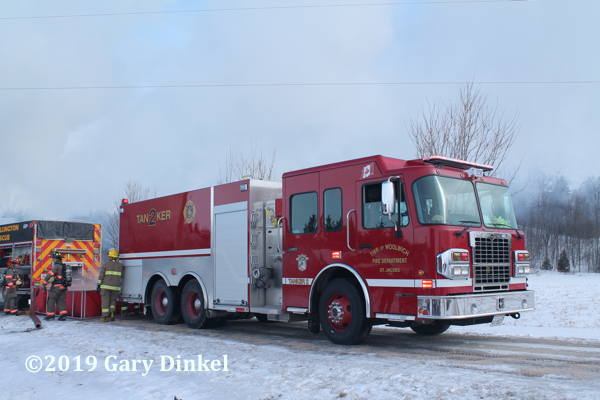 He reported a thermal column on approach and asked for a pumper and tanker from Elmira, and a tanker from St Jacobs. 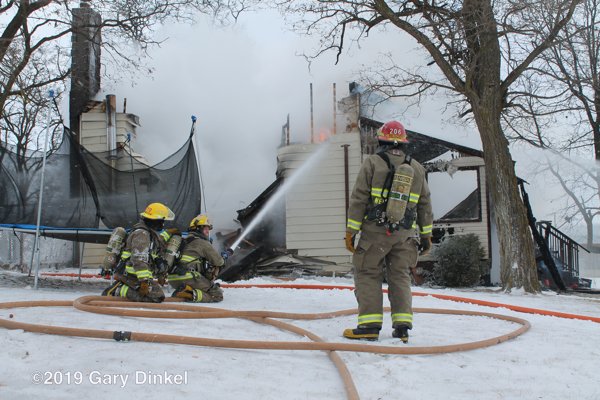 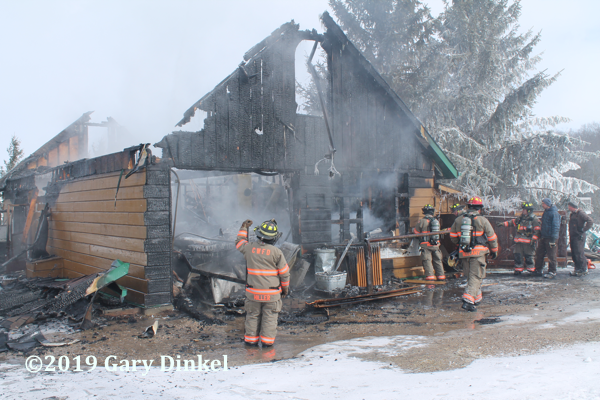 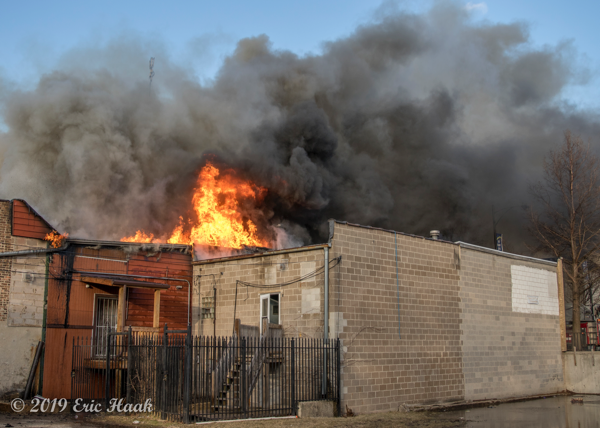 Half a minute later he confirmed they had a wood shop fully involved with two exposures. 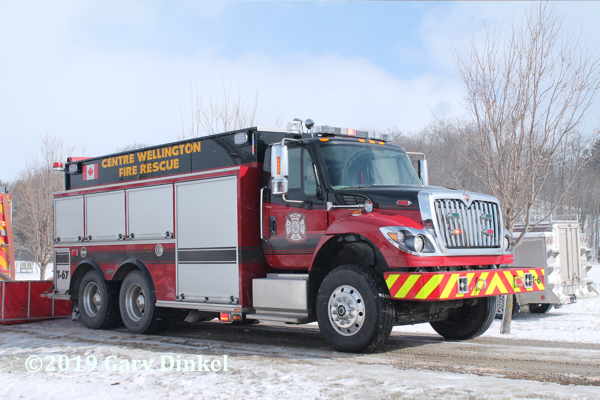 Centre Wellington’s other station in Fergus was dispatched once the new report was relayed to responding firefighters. 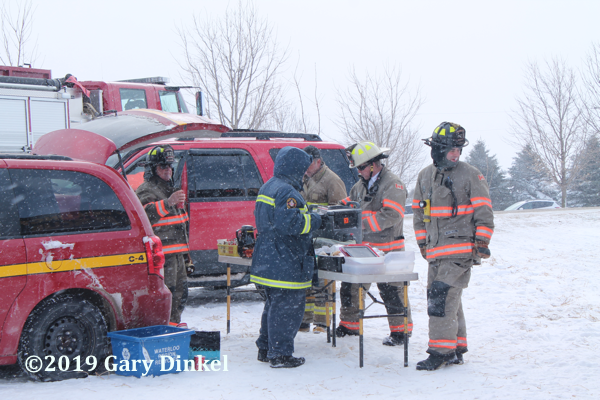 Water was shuttled from a pond located at a business just up the road from the fire. 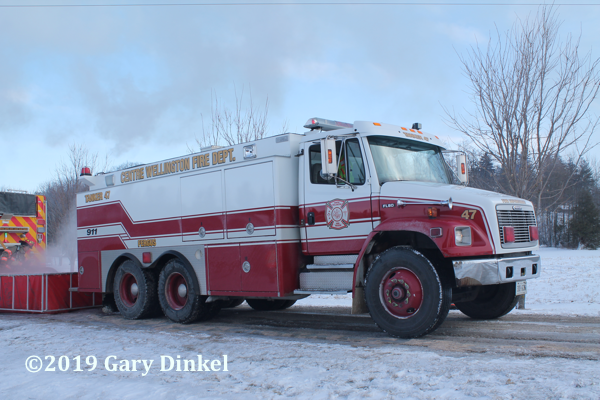 Five tankers were used in the relay. 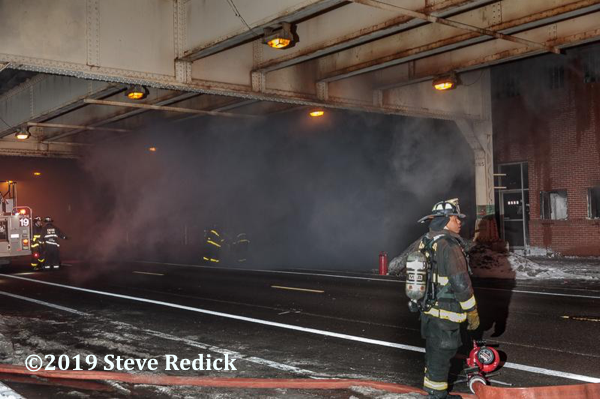 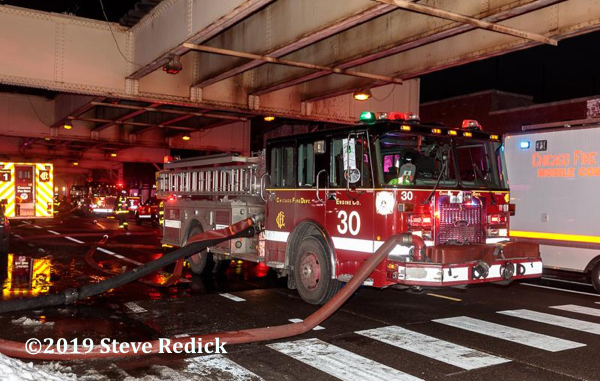 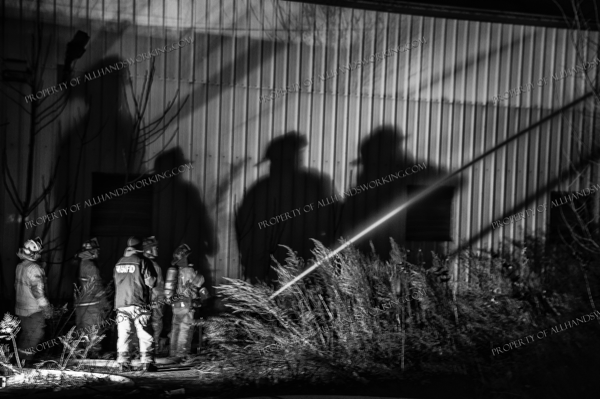 Numerous small and large lines were pulled to fight the fire enabling firefighters to protect the exposures. 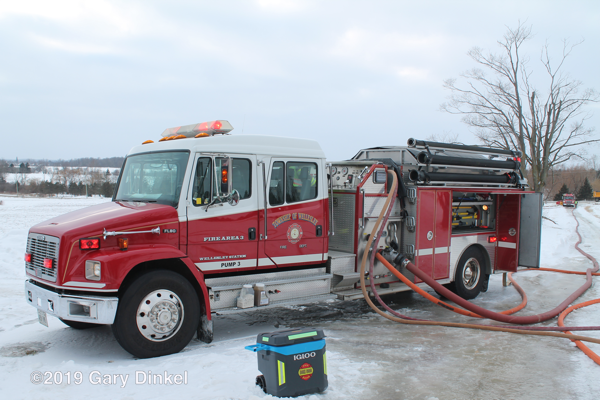 The pond was drained after two hours of use, so Elmira’s pumper set up at a hydrant in Elmira to fill trucks. 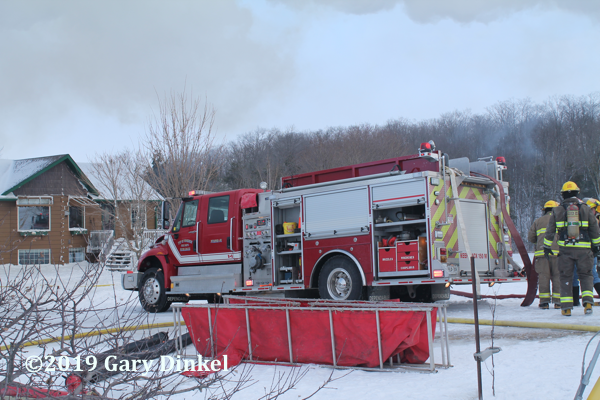 The hydrant on the north end of town was approximately five miles from the scene. 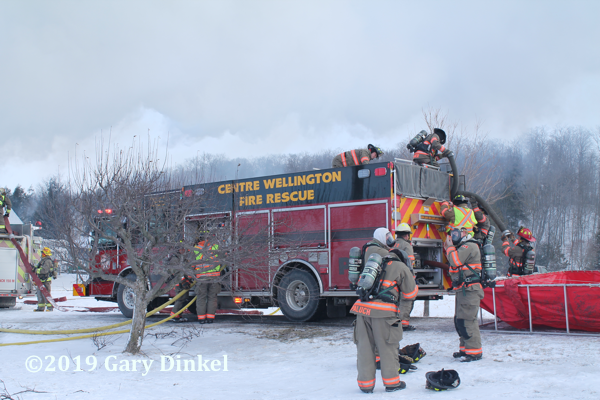 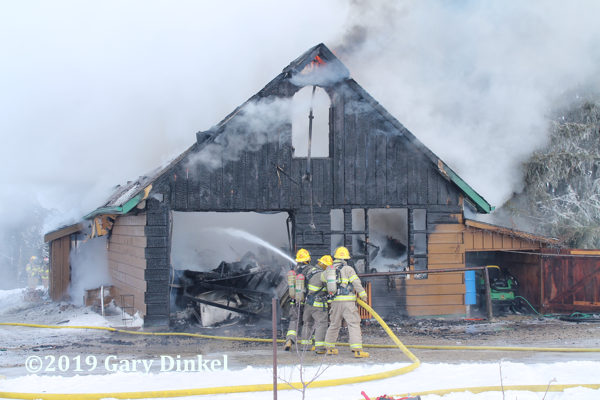 Woolwich firefighters cleared the scene just before noon, Centre Wellington remained on scene until 14:00. 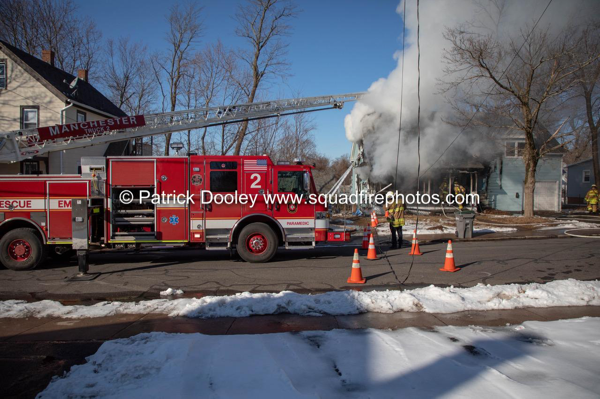 A high hoe was brought in to pull the building down to get at hot spots. 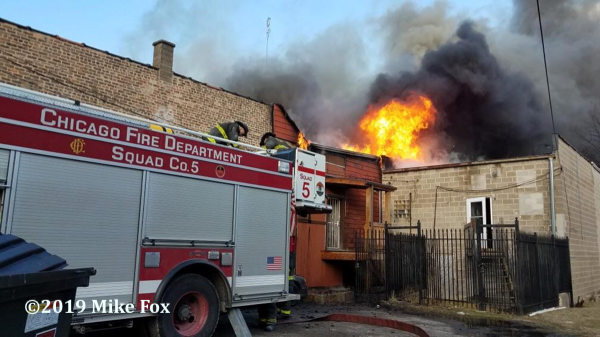 Box 690 provided rehab to the 40 firefighters on scene. 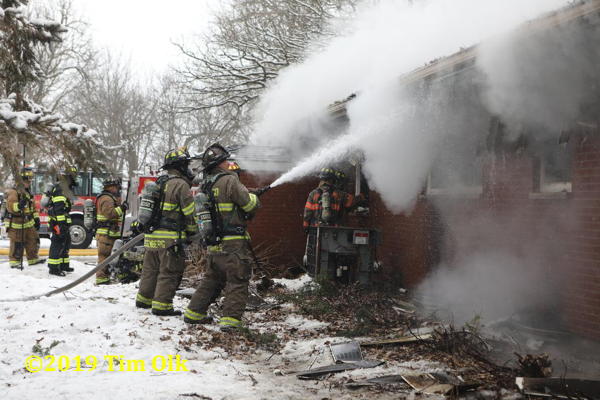 Photos and video taken 40 minutes into the call. 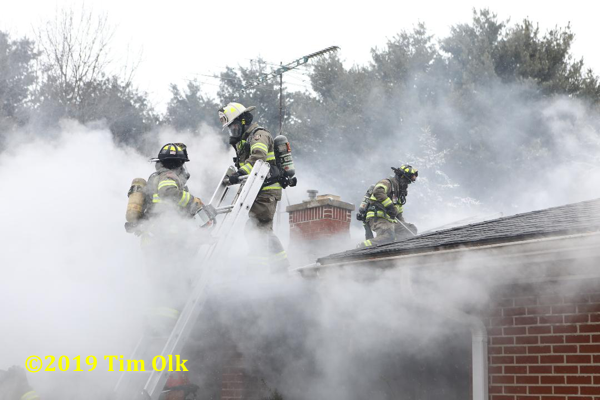 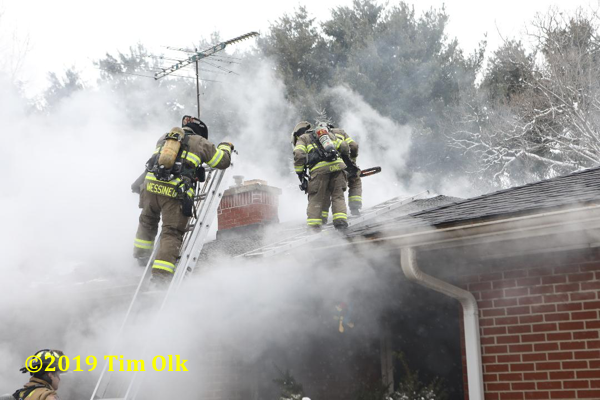 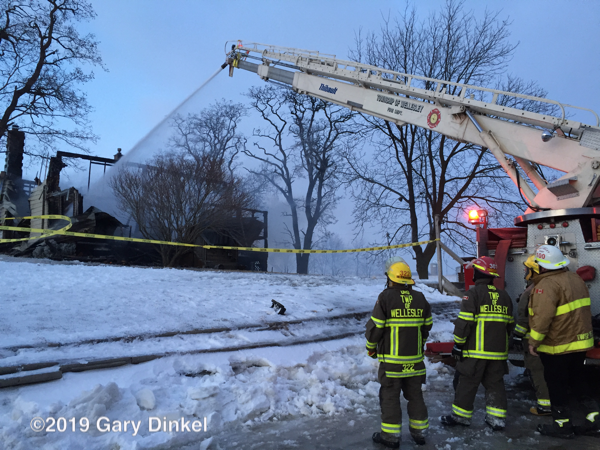 Kitchener, Ontario fire dispatch toned out Wellesley, Linwood, and St Clements firefighters for a possible fire at 1715 Greenwood Hill Road February 15 at 15:15. 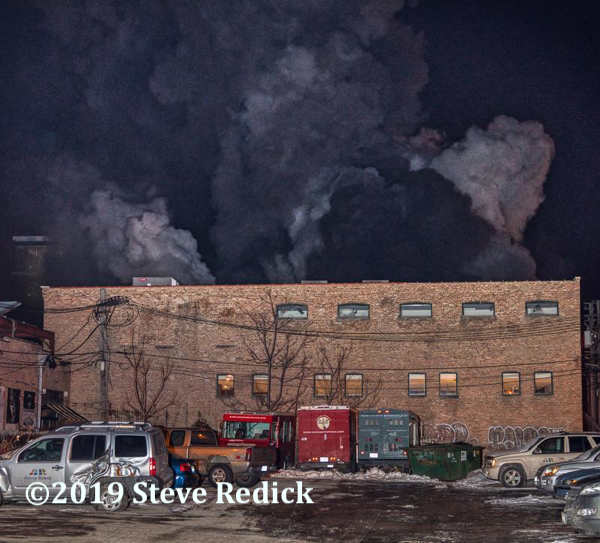 As the stations were being dispatched, you could hear the phones ringing in the background and the dispatchers asking what was on fire. 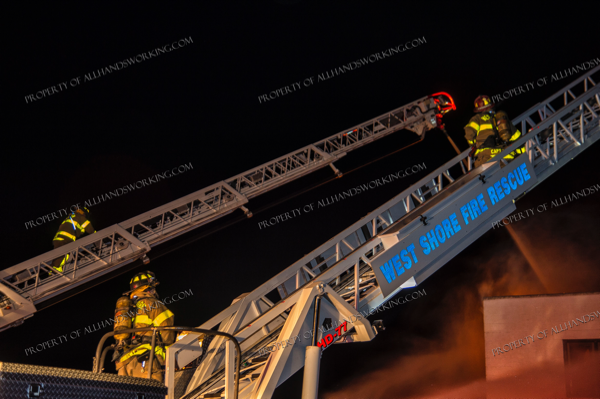 Units reported a thermal column as they turned north onto Greenwood Hill Road from the main road in Wellesley. 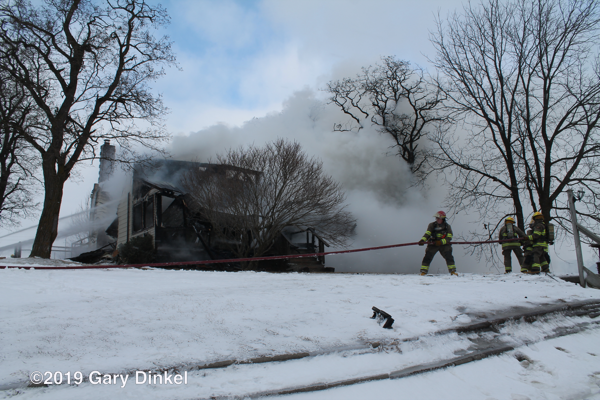 They reported a two-story house fully involved on arrival, and that all firefighting was going to be defensive. 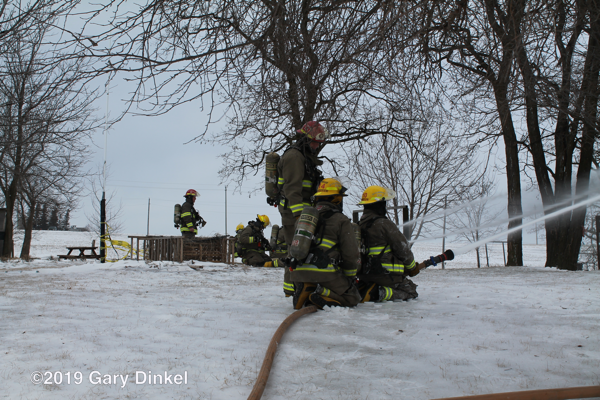 A four-inch line was dropped in the icy laneway out to the road to supply water. 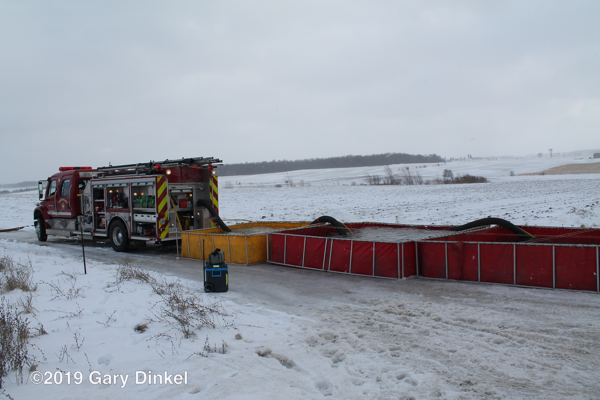 There are two ponds used for water in summer right across the street from the laneway. 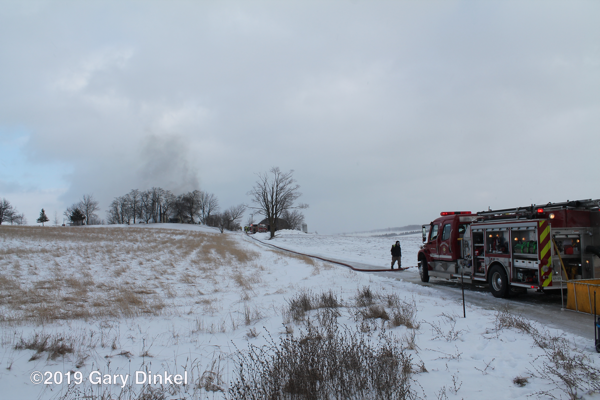 Unfortunately firefighters couldn’t cut through the ice safely to access the pond so they had to drive a mile back down Greenwood Hill Road to catch a hydrant for the tanker relay. 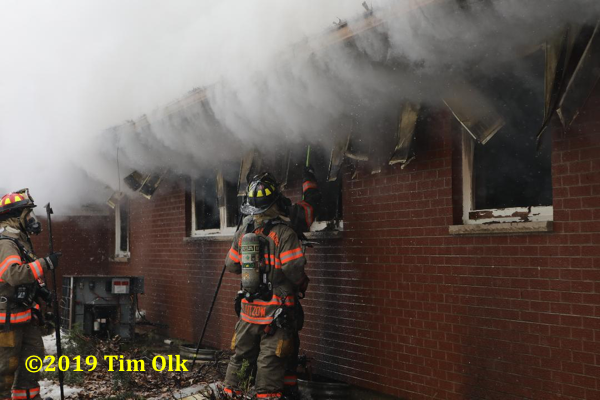 A collapse zone was setup and firefighters pulled four lines to attack the fire. 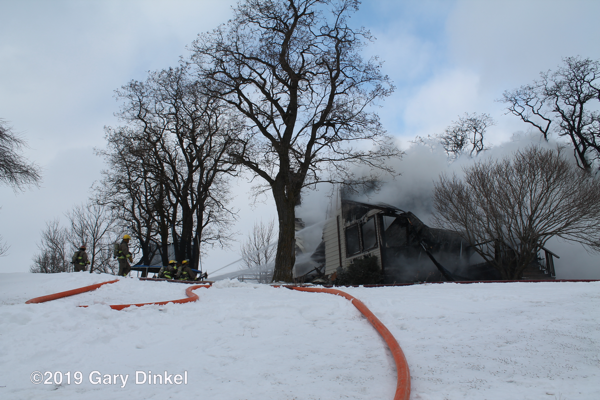 The second floor collapsed ten minutes after arrival, and the bulk of the fire was knocked down in one hour. 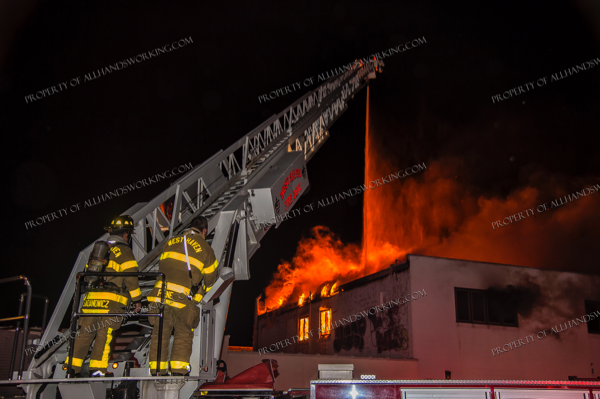 An excavator was brought in around 21:00 to pull the building apart to get at hot spots in the basement. 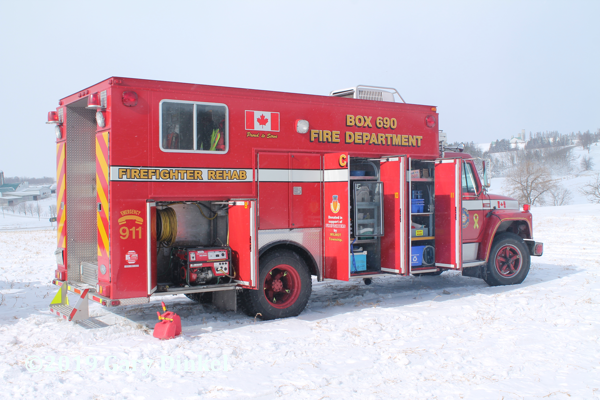 Box 690 provided dinner and warm drinks to the 35 firefighters on scene. 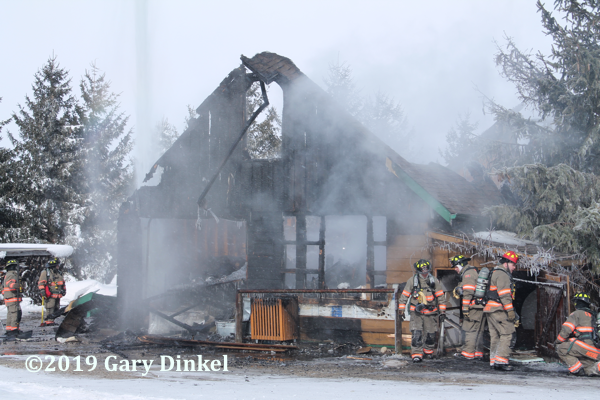 Damage will exceed $250,000, and the cause is undetermined. 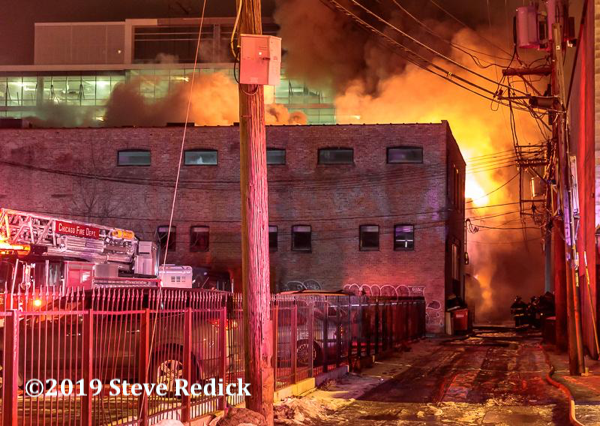 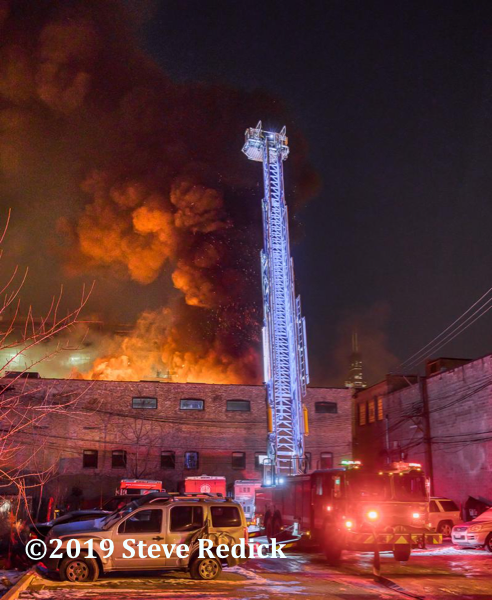 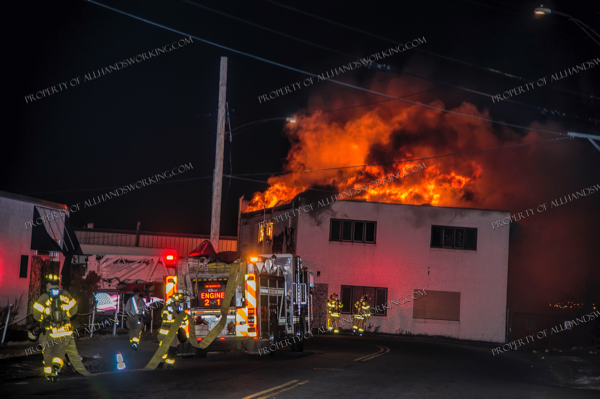 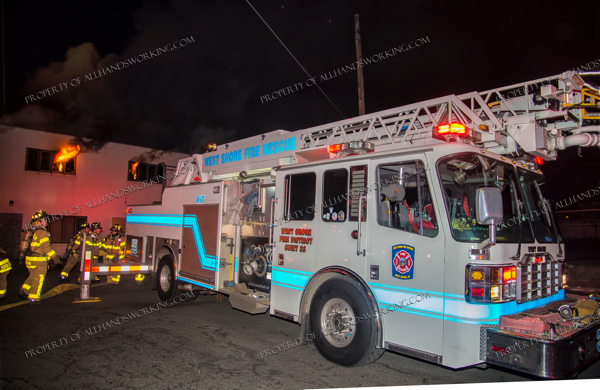 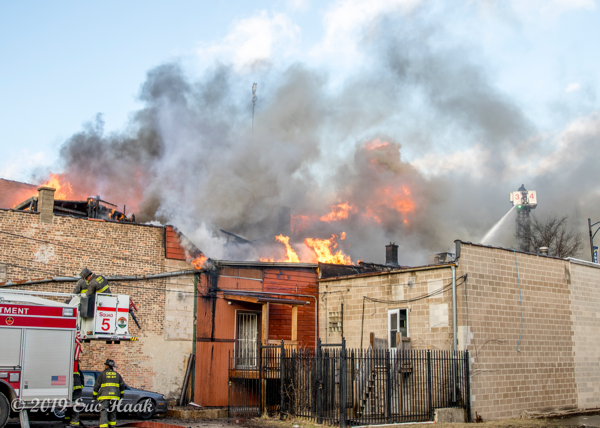 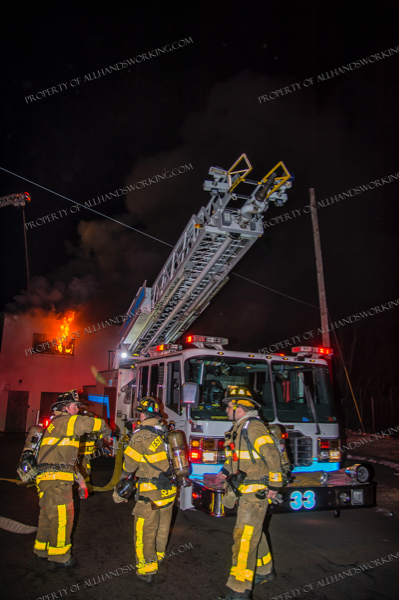 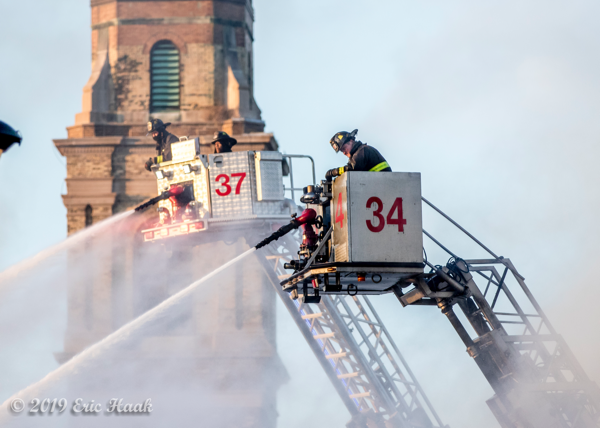 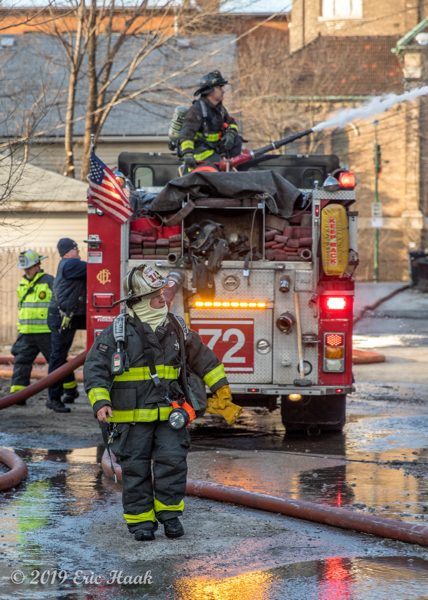 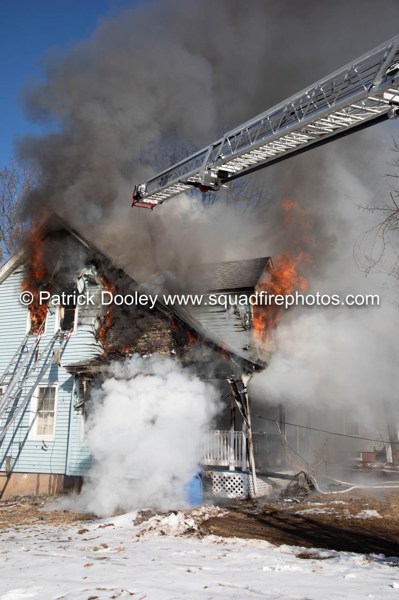 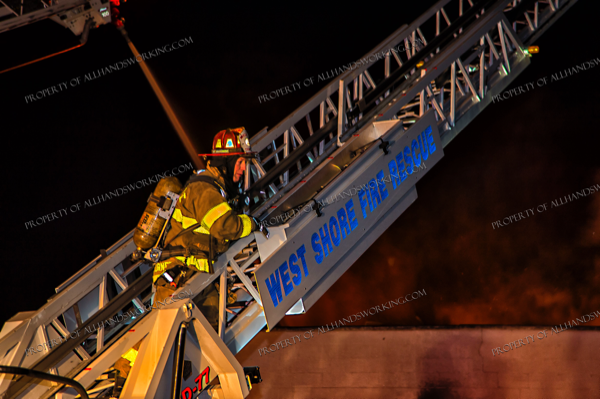 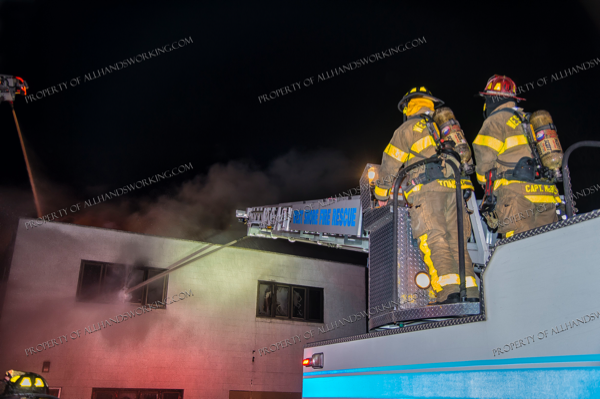 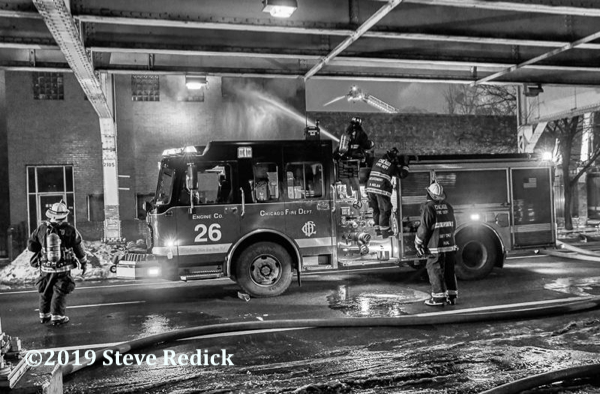 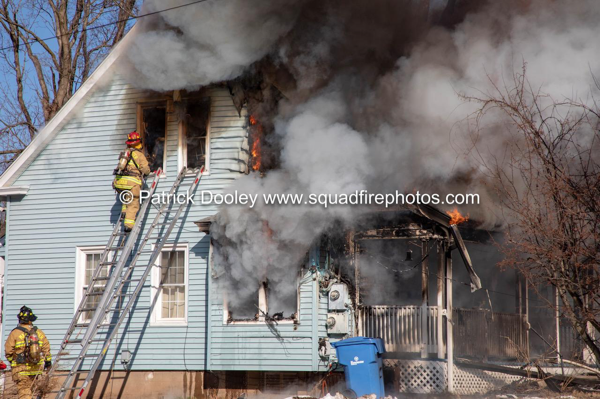 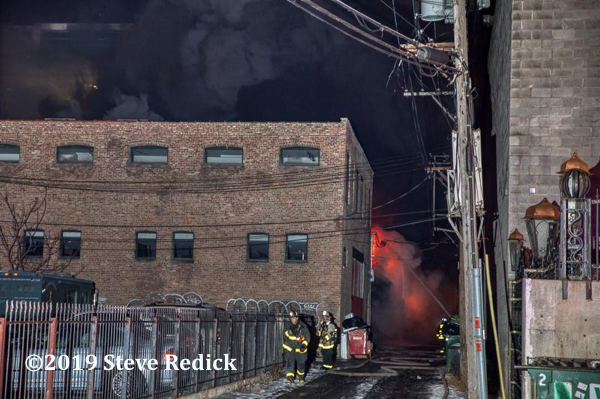 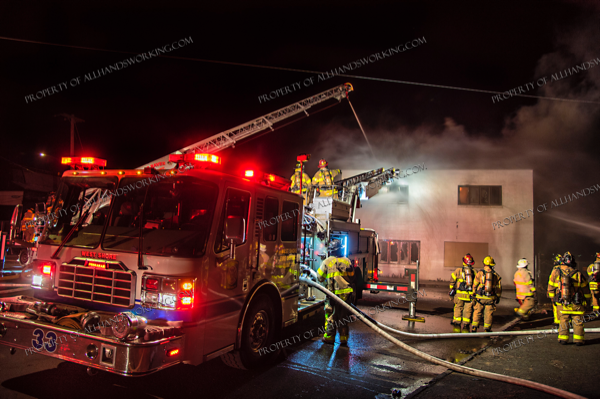 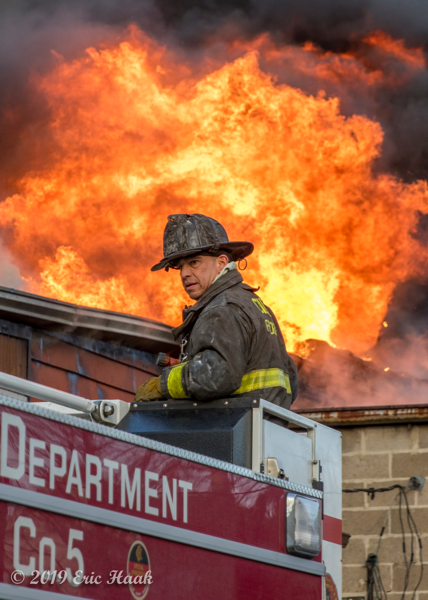 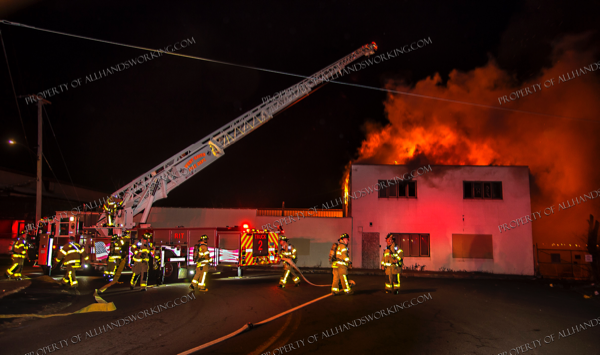 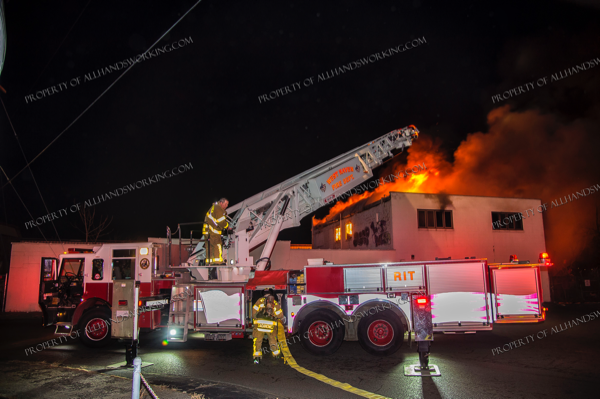 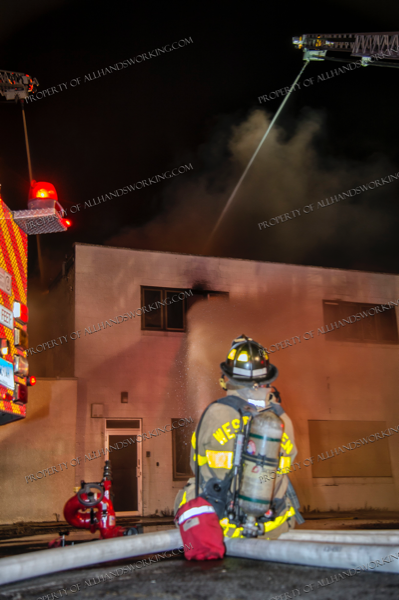 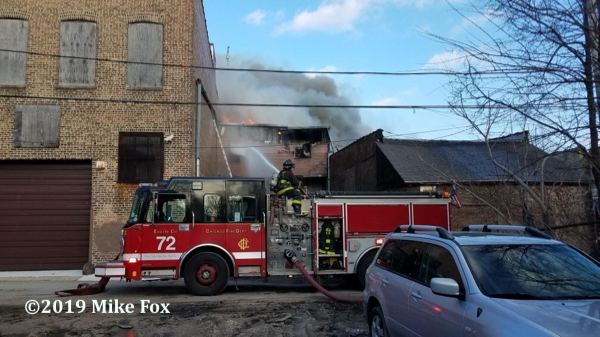 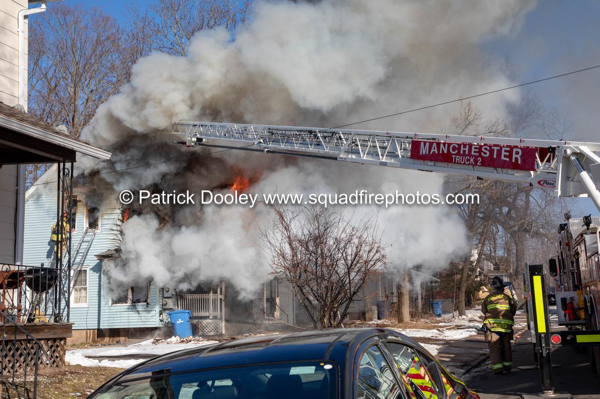 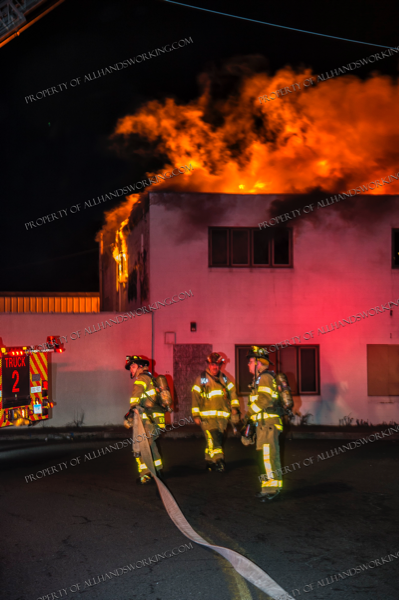 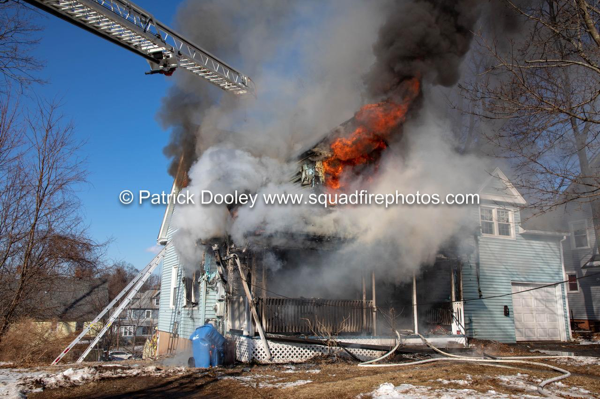 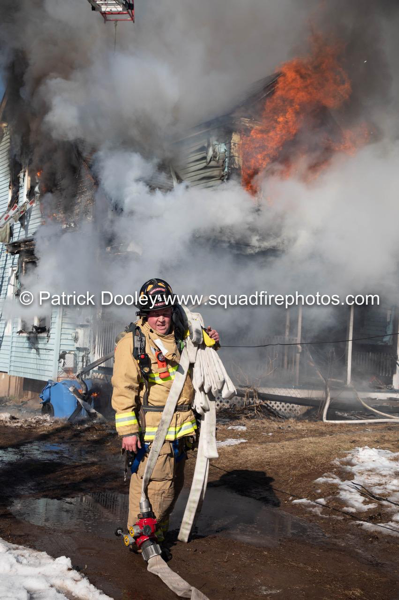 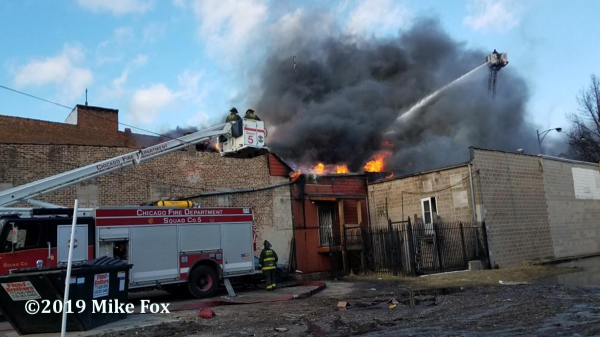 02/17/19 West Haven, CT – Firefighters were called to fight another abandoned building fire in an area slated for redevelopment. 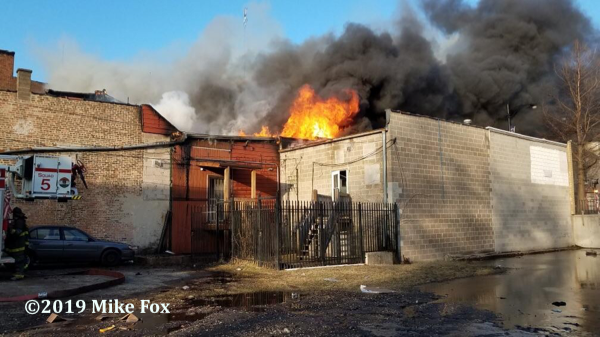 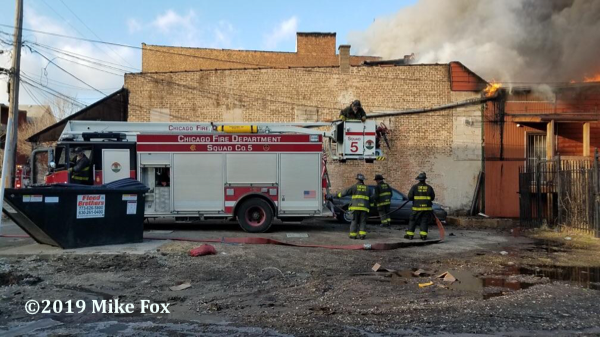 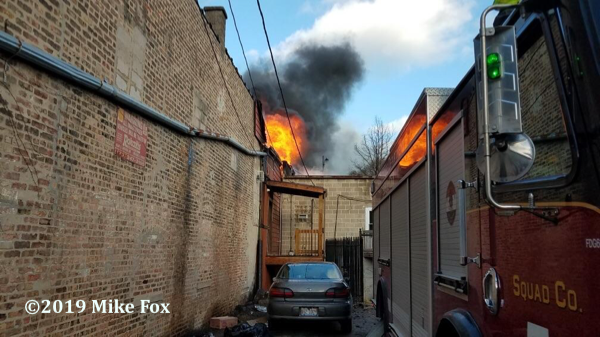 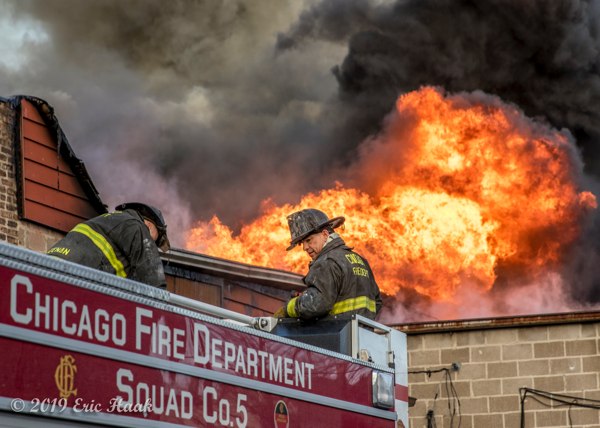 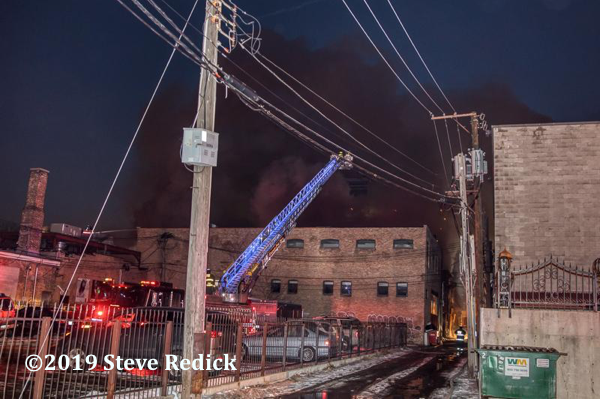 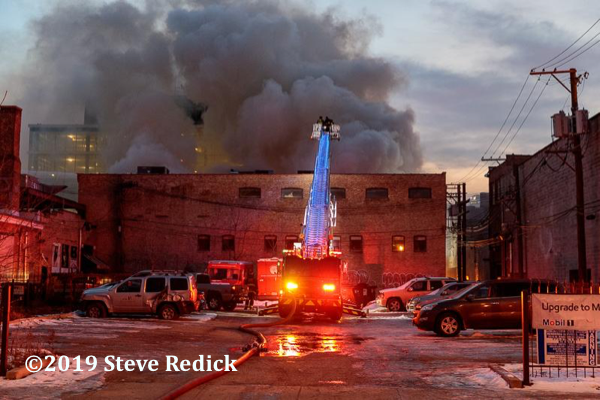 Firefighters found a two-story, commercial building with heavy fire through the roof. 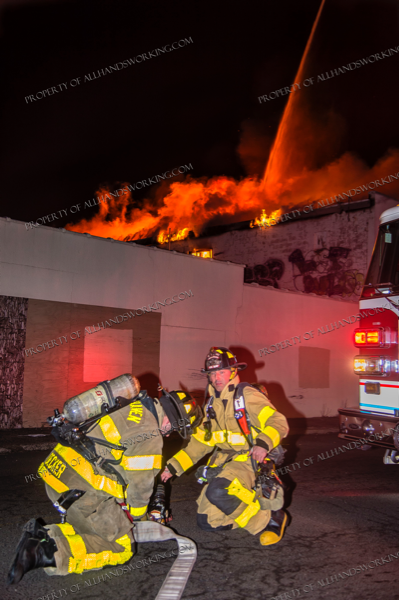 A second alarm was transmitted on arrival bringing additional city units. 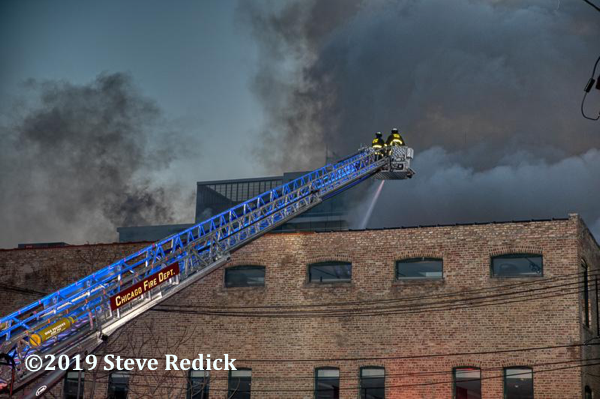 Two aerials, three multi-versals, and several hand lines were deployed to bring the fire under control. 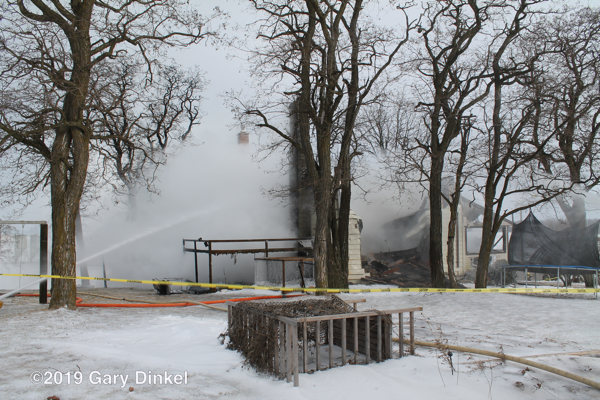 The state fire marshal was called in again to assist the local marshals with the investigation.